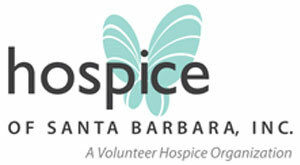 Hospice of Santa Barbara is collaborating closely with schools, first responders, governmental agencies, and the Red Cross to provide counseling supportive services to families and the community in the wake of the Thomas Fire and Montecito Mudslides. Our trained counselors are available at the “Family Assistance Center” set up by Santa Barbara County at the First Presbyterian Church located at 21 E. Constance St. on the corner of State St as well as our home offices at 2050 Alameda Padre Serra. For assistance, please call (805) 563-8820.